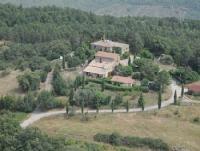 Holiday Home Casa Girasole in Tuscany,Italy!. The house is surrounded by a large green area that offers stunning views over the valley. The flat on the lake has been completely renovated in winter 2013 and it's on first floor. Wifi, air conditioning. Big wonderful garden mit trees. The area is nearby the beach and the small harbour of San Felice del Benaco, with a romantic restaurant on the lake. ...hidden away from mass-tourism, discover a piece of Italy which remains largely unchanged both nature and lifestyle-wise.